Helen McDade, the John Muir Trust's head of policy, will be this weekend's first guest. "The John Muir Trust is dedicated to protecting wild land. In all its policies, the Trust is committed to a scientific, evidence-led, holistic approach. It applies these standards equally to the management of wild land and to scrutinizing the threats that wild land faces. In the case of large-scale wind energy development, this level of scrutiny is increasingly demonstrating that the policies of national and devolved governments have been underpinned by wishful thinking, selective evidence and fragmented and inadequate planning processes. It’s the Trust’s job to fight for the right policies for wild land regardless of whether that is difficult or popular. For some time, the Trust’s views appeared to be in the minority. Increasingly, others in environmental, economic and political fields are expressing similar views to ours. 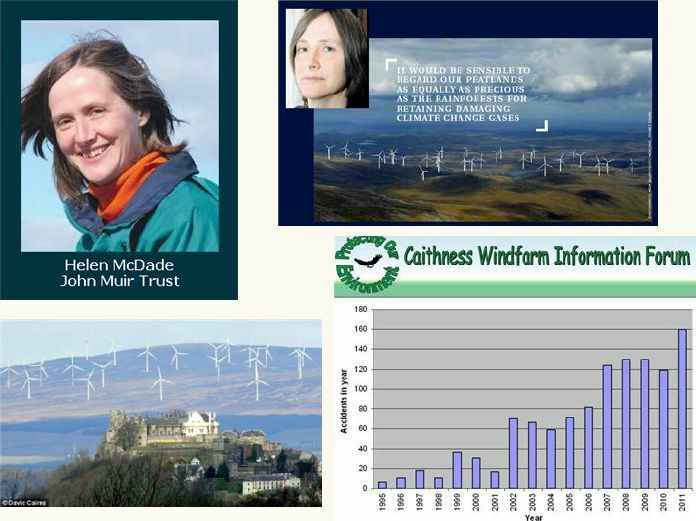 We are also extremely fortunate to have Brenda Herrick and Stuart Young from the Caithness Windfarm Information Forum (CWIF). Stuart Young also worked with JMT on an important analysis of the UK Wind Energy.